Alarm, travel, toiletry... Authentics has set itself apart time and time again with numerous collections of pieces that are unique, affordable and bursting with design sensibility. The Kali series has been made for those of us who take travel or staying home seriously. Even designers like Patrick Nadeau with his Plant Bag or Marti Guixe's and his Rollbag have taken their hand at creating objects that combine utility with a delightful sense of play. 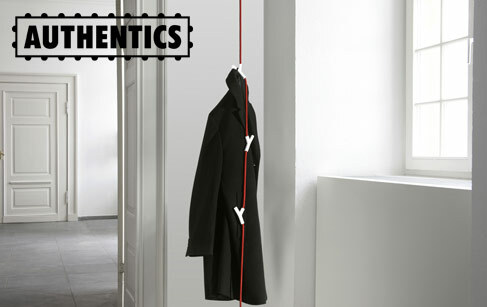 Perhaps the secret of Authentics rests in their use of state-of-the-art materials and high capacity industrial production in order to create simple and functional objects that can be used day in and day out.